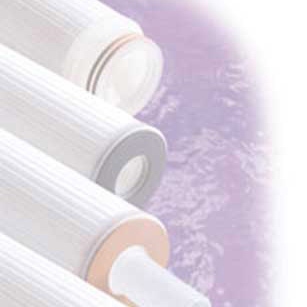 Filter Home - Engineered Filtration, Inc. When it comes to superior liquid filtration solutions for industry, you won’t find any products that outperform our Engineered Filtration Product Line. Our products have been proving themselves in the process streams of industries as varied as chemical processing, power generation, water/waste water treatment, food and beverage, plating, and many more. EFI cartridges use pleated filter media to achieve extended surface area for superior dirt holding capacities. EFI products can be specified to retain particulate down to 0.03µ with absolute efficiency and they come in a variety of standard and custom sizes to fit virtually any existing filter housing. A wide array of media types including Polyester, Polypropylene, Nylon, Teflon and Polyethersulfone can withstand even the most demanding temperatures, conditions, or process solutions for dependable day in and day out performance. Our cartridges are manufactured to the highest quality standards in an ISO 9002 environment. Our high end cartridges are rinsed in 17+ megohm water to flush away any remaining manufacturing debris. Each cartridge is individually tested for integrity. Our full line of single and multiple cartridge filter housings are a rugged design built to last. Available in a variety of materials are designed to give the operator long life and are easy to service. Superior versatility, efficiency, dependability and value ­ the choice is clear. EFI Filtration Products are designed to deliver continuous process improvement.